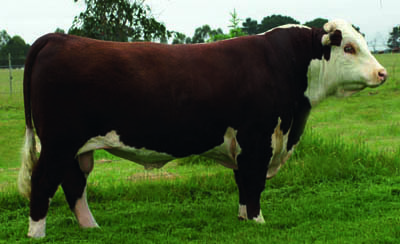 The Magnum/Minerva 554 progeny are the type of cattle we aim to breed. Whisky River’s full brothers include Vice Admiral, $15,000 Young Gun & $26,000 Hereford National Junior Champion 2011,Winchester. His full sister, Minerva 842, has been used as a Donor Dam. Whisky River sired the top price bull at our 2015 Sale, $18,000 Mawarra Chicago. He was purchased by renowned cattleman, Arthur Trethowan, Woomargama. Arthur also paid $12,000 for another son, Coopers Town. These purchases are testament to the quality, consistency and performance that Arthur has come to expect from Mawarra genetics and this line in particular. Whisky River’s six sons at Mawarra have averaged $7,700 and we have eight daughters in herd.